Today has been a crazy week. I "move in" to my storage unit (aka pick up the keys) tomorrow afternoon so I've been crazily trying to pack up a few things so that I can start moving things over. I also have had a few last minute projects/assignments to do for all of my classes as the semester is coming to an end. Finals start next week (gah! ), so this weeks FF is a little short! 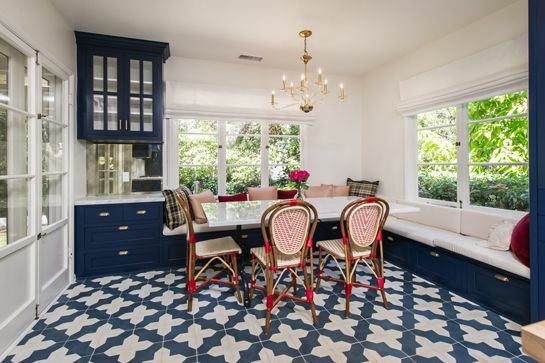 Oh my gosh, how perfect is Zooey Deschanel's kitchen? I'm obsessed! Apparently she's selling her home (why would you?!) and Refinery 29 has all the gorgeous photos! I'm ready to move in. It's decorated so nicely and seems so cozy. How cool is this guy's lego room? He takes the toy to a whole other level with a whole (completely organized) room dedicated to it. I would love to spend a few hours in this room to see what I could create. It's really awesome how lego has influenced his career!